I had bought a huge vat of blueberries at costco to make a fruit pizza for a memorial day barbecue. 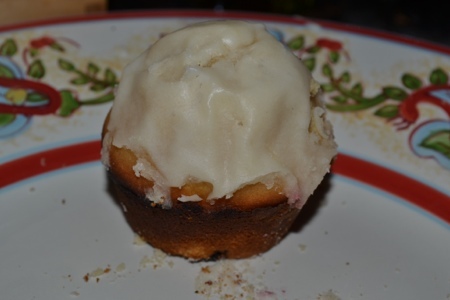 I had these muffins pinned over on pinterest so I decided to try them. We were not disappointed. YUM!!!!! Don’t forget the glaze!!!!! 1. Preheat the oven to 425°F. Lightly grease a standard muffin tin, or line with 12 paper muffin cups. 2. In a medium bowl, combine the lemon zest and sugars. Use your fingertips to incorporate the zest into the sugars until it is moist and fragrant. 3. In the bowl of a stand mixer fitted with a paddle attachment or in a large mixing bowl with an electric mixer, cream together the butter, vegetable oil, and sugars until smooth. Add the eggs and vanilla, beating to combine. 4. In a medium bowl, combine the flour, baking powder, baking soda and salt. Stir the flour mixture into the butter mixture alternately with the milk, beginning and ending with the flour and making sure everything is thoroughly combined. Fold in the blueberries. 5. Spoon the batter evenly into the prepared pan, filling the cups nearly full. 6. Bake the muffins for 15 to 17 minutes, or until they’re a pale golden brown and a cake tester inserted into the middle of one of the center muffins comes out clean. 7. In a medium bowl, prepare the glaze by mixing together the melted butter, confectioners’ sugar, vanilla, lemon juice and water. Whisk until smooth. 8. 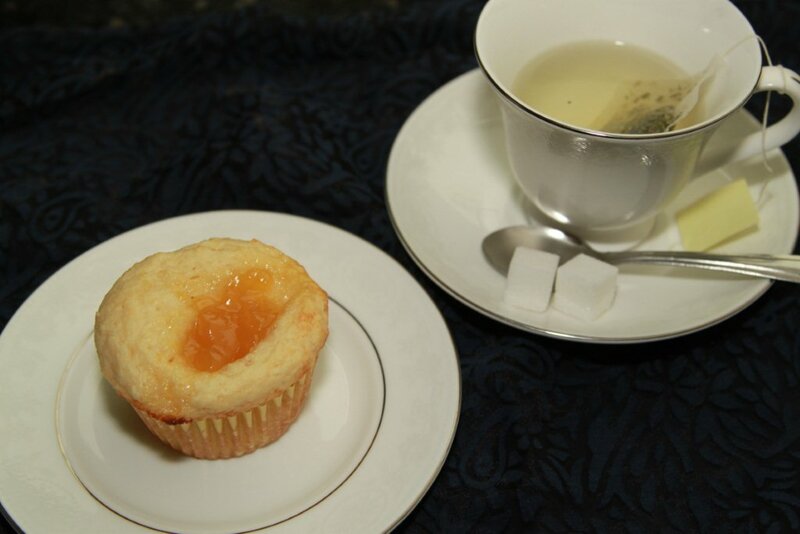 When muffins have cooled slightly, dip the muffin crown into the glaze and allow the glaze to harden. At this point, you can leave them as is or go for the double dip. I glazed my muffins twice. 9. Serve warm, or cool on a rack and wrap airtight. Muffins will keep at room temperature for about a day. I was struggling with what to bake this week. Nobody in the house was in the mood for anything in particular. Hubby and I are getting ready to head to Aruba (in less than 2 weeks!!) so the thought of extra calories going to the bathing suit booty just doesn’t sound appealing. But, there is a blog to update! 🙂 I searched through recipes that would be easy and didn’t require me to go shopping for anything. I found this recipe. 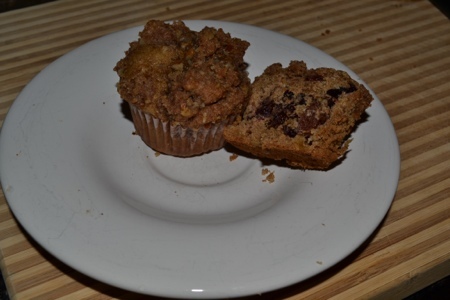 These are certainly muffins, as in you want to eat them for breakfast or in the afternoon with a nice cup of tea. They were moist and pretty yummy. Naturally, I modified the recipe, so the below recipe is with my modifications…if you want to see the original, click on the link. Preheat oven to 375°F and line a 12-cup standard muffin pan with baking cups; coat baking cups with cooking spray. Whisk together flour, sugar, baking powder, and salt in a large bowl. Make a well in the center of the mixture. Combine yogurt, water, olive oil, lemon zest, lemon juice, and egg in a medium bowl; add to flour mixture and stir just until combined. 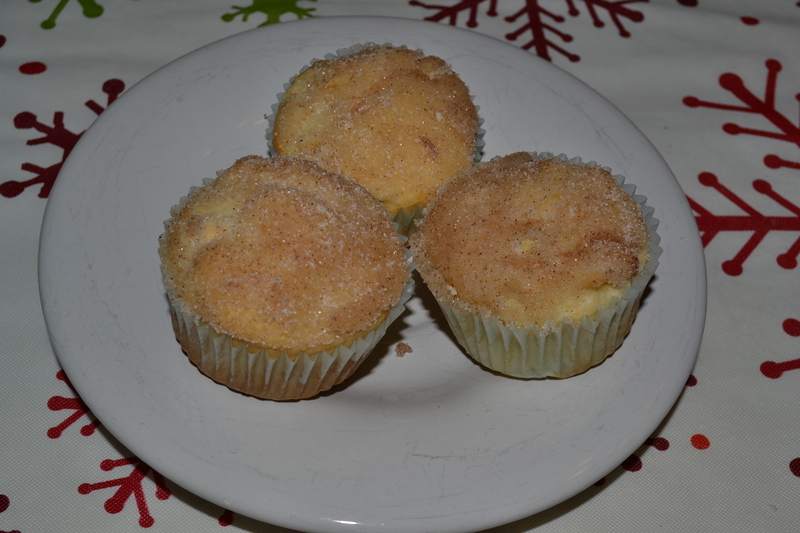 Fill each baking cup 3/4 full of batter, then top muffins with a teaspoon of lemon curd. Bake for 15 minutes, until a toothpick inserted in the center comes out clean. Let muffins cool in pan on a wire rack for 2 minutes before removing from pan to serve warm or cool completely.